We consider them a great value. 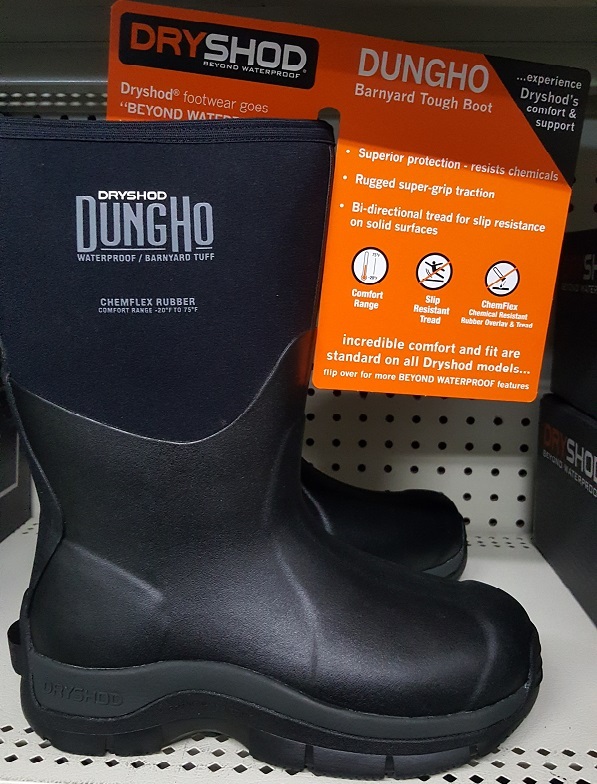 They use the newest technologies in boot coating and an exclusive self-insulating waterproof DENSOPRENE® insulated foam bootie. Each style has a thoughtfully-created tread design according to their usage. Stop by and have a look. We think you’ll like ’em! CONTAINERS/MEDIA: Consider planting a larger container so you can grow a few different herbs. Just make sure all the varieties in the container have the same water requirements (some don’t). The container should also have drainage holes in the bottom and a saucer underneath to catch the excess water. Fill the container with a high-quality, sterile, soil-less, growing media that is free of large particles and weed seeds. This type of media gives the herbs good drainage and aeration while also holding adequate moisture and nutrients. Thoroughly pre-moisten the media with warm water before you sow your seeds. LIGHT/ENVIRONMENT: Because herbs need at least six hours of sunlight per day, they love a sunny south- or west-facing window or even artificial lighting. If you’re using fluorescent lights, which we recommend, use both warm-white and cool-white, 125-watt bulbs hung 2 to 6 inches above the tops of the plants. Then set a timer so the plants receive 14-16 hours of light a day (they need more with artificial lighting than from natural light). As plants grow, adjust the height of the lights and rotate the plants so they grow evenly. To really get your herbs growing, keep the room temperature between 65º-75ºF. SOWING: Use the seed packet directions to sow the seeds into the pre-moistened media then cover the containers with clear plastic wrap to retain consistent moisture. Check on them daily for signs of growth and if the media is still moist. When seedlings have germinated, remove the plastic. WATERING: Keep the media evenly moist. Once plants are established, allow the media to dry slightly between watering. Many herbs are easily preserved by drying, and hold their flavor well when dry. Simply cut a handful of stems and rubber band them or tie them together with a piece of string, then hang them upside down in a cool, dry place out of direct sunlight, with good air circulation. When the herbs are completely dry and crumble easily between your fingers, place them in jars and store them in a cool, dry pantry or herb cabinet. Avoid storing herbs over the stove where heat and moisture will affect them. Some folks like to leave small bundles hanging on pegs in their kitchen where they can just reach up and take a pinch as needed while cooking. However, bundles may get dusty and lose some flavor when hanging in the open air this way for months. Stored, dried herbs naturally begin to lose their unique flavor after about a year. At that time, the herbs may still be useable but larger quantities will be required to flavor dishes. The drying method works best with the following herbs: basil, catnip, chamomile, dill, feverfew, lavender, lemon balm, marjoram, mint, oregano, rosemary, sage, savory, thyme. Come see us! Whether it’s containers, planting media, seeds or other gardening supplies, we have it ready for you at Bridgewater Farm Supply. What we call cantaloupes are really muskmelons. True cantaloupes are hard-shelled melons from Europe. Honeydew melons are different from muskmelons in that the skin is smooth, the flesh is green, and the scent is markedly different. Unlike muskmelons, honeydews can be stored for up to a month. Muskmelons stop ripening after being picked from the vine, but honeydews will continue to ripen a bit, though vine-ripening is best. In cool areas, black plastic mulch can be used to warm the soil and keep weeds down. Melons use a lot of water while they are growing, but taste best if ripened under drier conditions. Set ripening fruit on a soft bed of straw, or a coffee can to keep moisture from damaging the fruit. Melons also grow well on a trellis, which saves space and increases airflow, helping to prevent fungal diseases. When to Sow Outside: RECOMMENDED: 1 to 2 weeks after average last frost, and when soil temperature is at least 70 degrees F, ideally 70 degrees F to 90 degrees F.
As you probably know, at Bridgewater Farm Supply we have all you need to grow them… compost, fertilizer… whatever. 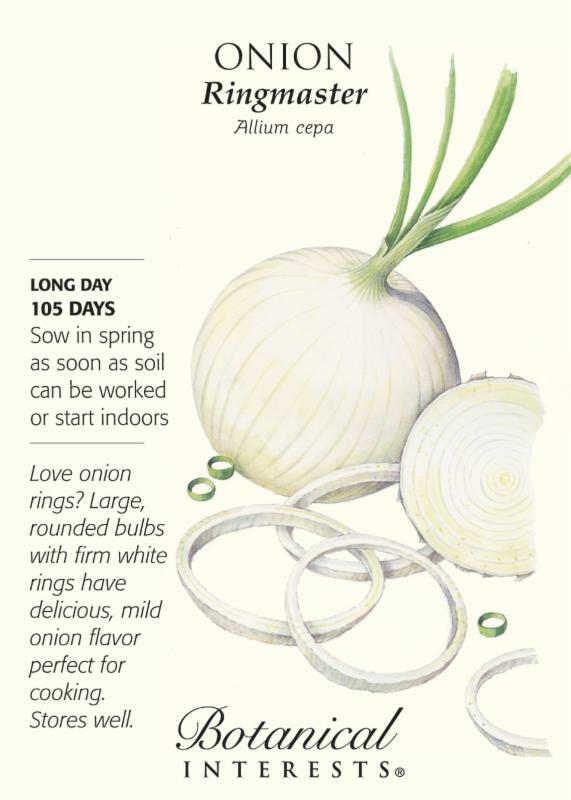 Onion seeds should be started indoors (with the exception of the South) 10–12 weeks ahead of your average last spring frost, and transplanted out 4–6 weeks before your average last spring frost. Leeks and shallots also follow the onion rule – the bigger the transplant, the bigger the potential yield – so start these early (8 to 10 weeks before average last spring frost). Shallots are cold hardy and can also be transplanted out in the fall. Growing onions from seed versus starter plants offers a wider variety, is less expensive, and gives you more control over growing conditions and inputs like fertilizer or pesticides. Plus, we are all itching to get our hands dirty again! The ideal soil temperature range for best germination is 60°–85°F; although, they will germinate at 45°F, but it will take more time. Onions are heavy feeders. Adjust your planting area according to soil test suggestions. Nitrogen is usually the first major nutrient to be used up, so usually a test suggests adding nitrogen and often, organic material (compost or ground leaves work well). After hardening off, transplant onions 4″ deep. This may leave only a tiny bit of green poking up through the soil, but don’t worry, leaves will quickly catch up. Scallions and bunching onions can be grown densely; all others should be separated into individual plants and transplanted 3″–4″ apart. Once greens are 8″–10″ tall, beds can be heavily mulched or hilled with soil to reduce weed pressure, conserve water, and in the case of leeks, blanch the stems (keep them white). Leeks should be hilled monthly to keep as much of the stalk white as possible. With the exception of bulb-producing onions and shallots, the other onions discussed can be harvested whenever you like. Bunching onions and leeks are frost tolerant but should be harvested before a hard freeze. Many gardeners prefer to harvest leeks after a light frost, because plants produce sugars to avoid freezing, making them sweeter. Bulbing onions require special attention at sowing because their growth is triggered by day length (latitude). Understanding what varieties grow best in your area is the first step to success. Long-day varieties grow well in the north (above the 37th parallel), as they need 14 to 16 hours of daylight to trigger bulb formation. Try Ringmaster, Yellow Sweet Spanish Utah, and Cipollini Borettana. Long-day varieties grow well in the north (above the 37th parallel), as they need 14 to 16 hours of daylight to trigger bulb formation. Try Ringmaster, Yellow Sweet Spanish Utah, and Cipollini Borettana. At Bridgewater Farm Supply we stock what you need to get it done: seeds, bulbs, fertilizers, soil, tools. . . it’s all here. A popcorn kernel is essentially a sealed container efficiently storing moisture, and the makings of a new plant. When enough heat is applied to a kernel, the internal moisture is turned into steam, and because steam takes up more space than water, the small shell cannot contain it, so it rapidly expands, creating a tiny, but powerful, “POP”. 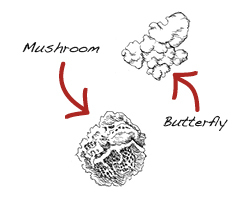 Traditional popcorn is called butterfly or snowflake because it has “wings,” and pops into different shapes. Popcorn that pops large and round without a lot of extensions is called mushroom popcorn. This is the kind that is often glazed or coated and sold as flavored, gourmet popcorn. Try Botanical Interests three varieties! 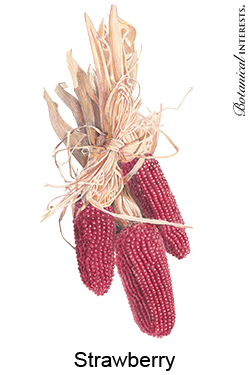 Botanical Interests is one of our seed suppliers. 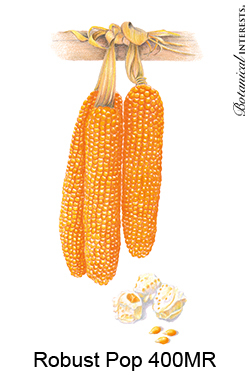 Robust Pop 400MR Popcorn: Electric orange kernels pop to a large, preferred round shape for kettle corn. 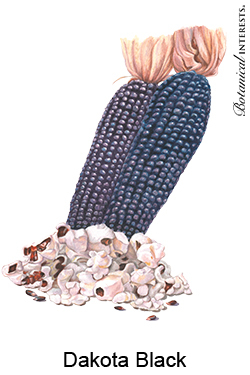 Dakota Black Popcorn: You’ll pop over these gorgeous, jewel-like, blackberry-colored kernels! Save the ears for autumn décor. Yes, the growing season is over and we now look around for what else we can provide you. 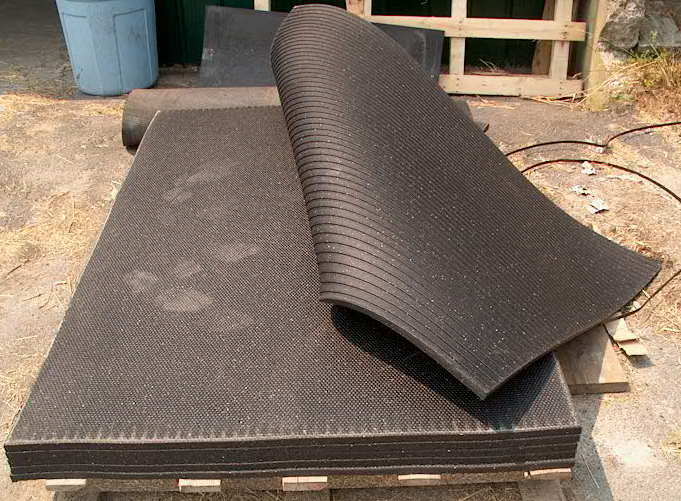 These rubber mats are very popular, and not just as horse stall footing. Because they are a relatively inexpensive rubber mat and highly durable, they lend themselves to various other uses. Commercial customers often buy a quantity to cover a concrete floor in manufacturing or process areas. They provide a skid-resistant and somewhat more cushioned surface. They also are a popular mat for use under heavy gym equipment. For home use, you might consider them to protect your painted deck from shoveling scars and provide better footing, They can also be used under your washer or dryer to prevent “walking” (and reduce the noise a bit). Need to cover a muddy area temporarily? Catch the ice under your snowblower? Flooring for a new shed or ramp? These rubber mats are 4×6 feet and 3/4 inch thick, they can be cut to size. Christmas wreaths are here and Christmas trees will be coming soon. The greenhouse becomes our Christmas display area and we have all kinds of Christmas gift ideas in our store from small farm-related toys for kids, to pet toys and supplies, to bird houses, thermometers, barometers and lots of other cool stuff. Drop by and see us, if only to warm up at the pellet stove. We’ve got all you need to deal with Massachusetts’ snow and ice. Feed your daffodils, tulips and other spring bulbs now! Spring is struggling to arrive and is bringing the first flowers of the year! After the nastiness of this last New England winter, the early daffodils and a rainbow of tulips are most welcome. The secret to keep spring flowering bulbs producing year after year is a spring feeding of Bulb Tone. When planted, bulbs are packed full of nutrients to last all winter. Come spring, they have used all the food they have stored. In spring your spring bulbs — tulips and daffodils included — are exhausted and starving even if they don’t look like it! Fertilize spring bulbs after the plants have bloomed and are about 6 inches high. Use an organic plant or bulb food that is low in nitrogen and has a higher amount of phosphorous. Nitrogen is the first of three numbers on fertilizer bags, — phosphorus is the second number on the bag. For example, Bulb Tone has a 3-5-3 Nitrogen- Phosphorous-Potassium ratio, which is exactly what bulbs need. The advantage of using a plant food made specifically for bulbs is that it provides a complete feeding. Your bulbs will love Espoma Organic Bulb-tone. This specially formulated bulb food is fortified with microbes to create a healthy soil and environment for bulbs. Plus, of course, it is pet and child friendly. Now to boost spring bulbs, apply Bulb-tone at a rate of 4 lbs. per 60 square feet. Simply sprinkle the organic bulb food around the bulbs to ensure they come back even stronger next year. One thing to remember – leaves on flowering bulbs produce food, and keep bulbs well fed throughout winter. So embrace your bulbs’ leaves! They add a lovely pop of glossy greenery to your landscape. A light layer of mulch keeps those leaves functioning longer. Only cut bulbs’ leaves when they begin yellowing or showing signs of decay. For tulips and daffodils, this can happen as late as July.